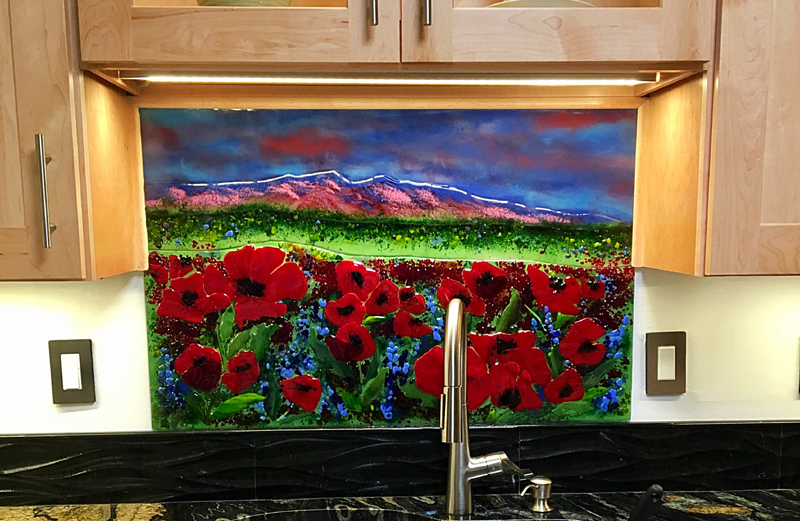 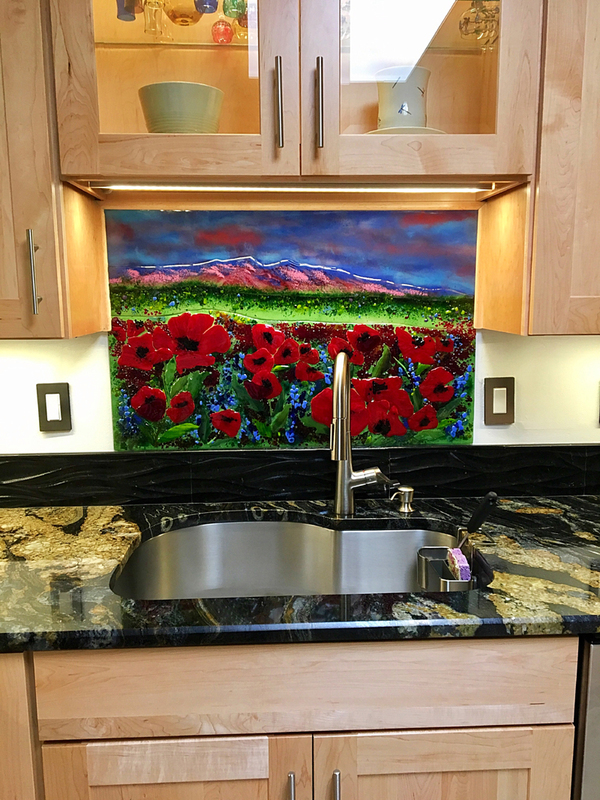 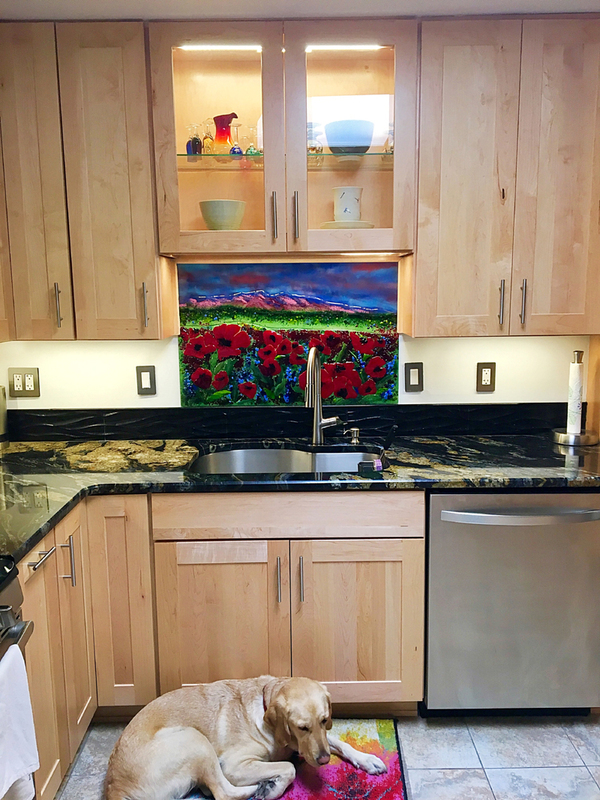 We created this colorful fused glass mural for our client’s kitchen in New Mexico. 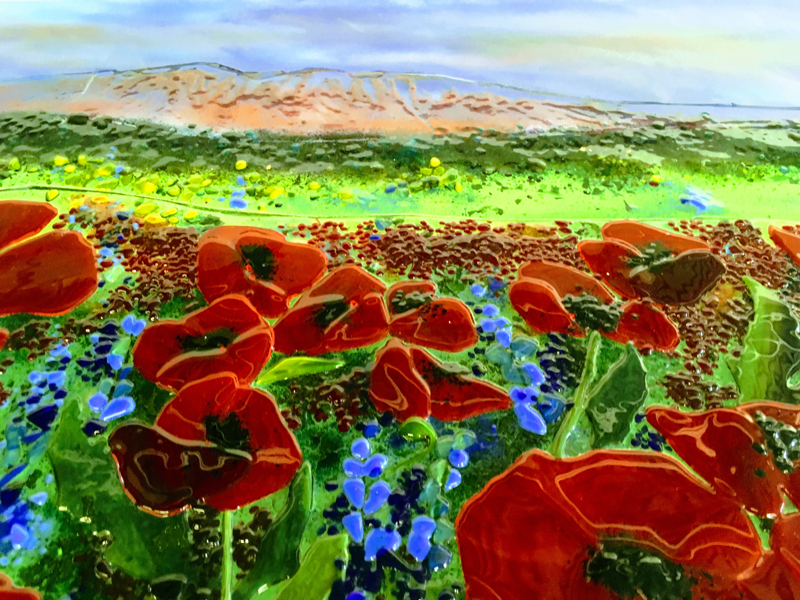 The mural features a field of colorful red poppies, mountains in the background and a colorful sunset. 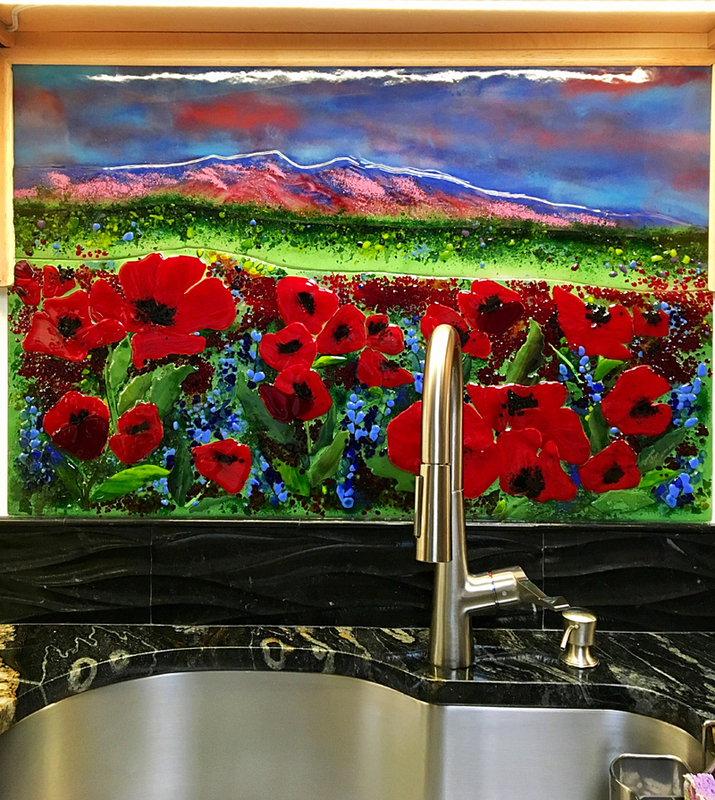 The dimensions are 23 1/2″ x 36″.